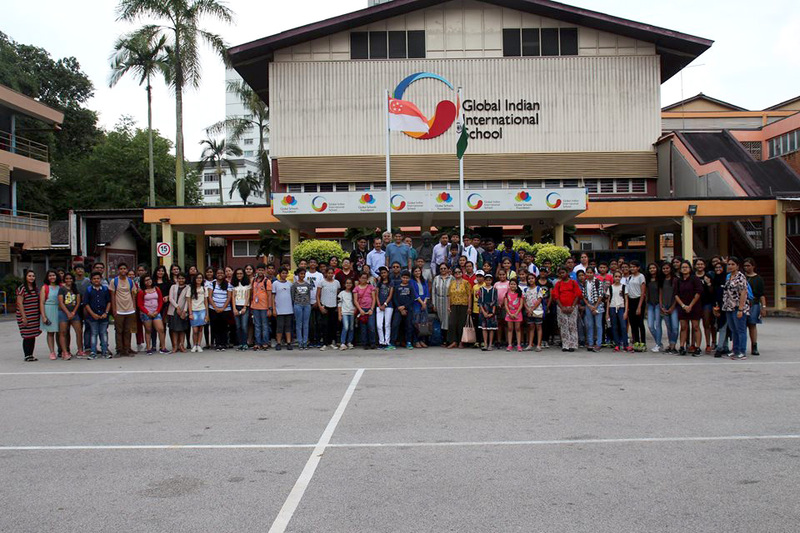 Global Indian International School hosted its annual GIIS Real World Challenges Convention at GIIS East Coast Campus Singapore. This year’s theme was Innovation, Creativity, and Entrepreneurship or ICE that aimed at fostering entrepreneurial skills and creativity among students. A total of 604 students’ participated in the convention. About 210 students took part in the on-spot competitions or had qualified for the final round of various categories. Of these, 74 were from GIIS India campuses, who travelled to Singapore to participate in the GIIS Real World Challenges Convention as part of the GSE programme. Global Student Exchange or GSE Programme is an important learning platform that helps GIIS students to interact, participate and collaborate with students of other campuses in India and abroad. 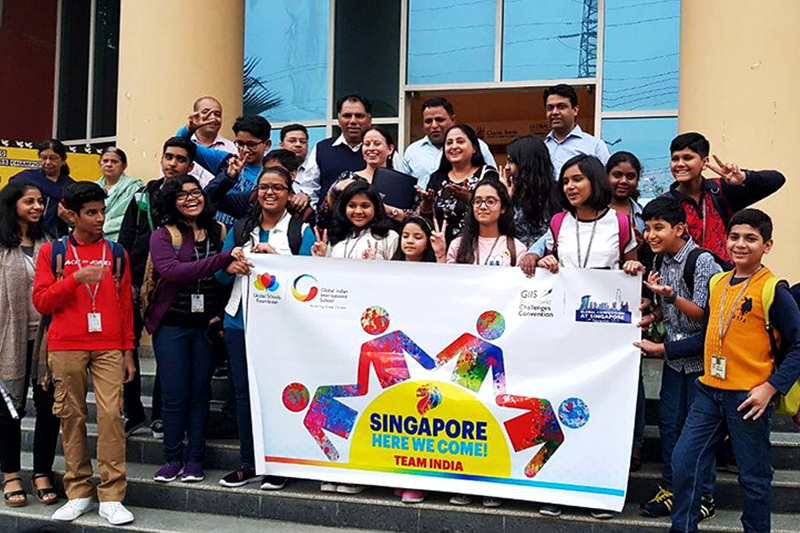 Students from around twelve GIIS campuses including 6 from India, 3 from Singapore and 1 each from Malaysia, UAE and Japan participated in the global contest. The Real World Challenges Convention provides a global exposure to students to present their case studies professionally to a diverse audience. The convention also helps young minds become confident, self-reliant and acquire leadership skills through group discussions, time management and prioritization. The event provides the right stimulation to student teams to present their ideas in the form of art, essay, speeches, debates and multimedia presentations. The convention was open for all age groups ranging from Kindergarten to Grade 12. As a part of the 9 gems program of GIIS, it believes in nurturing the generation of today, to lead the world of tomorrow. GIIS offers a true Global Advantage, which is through a holistic approach taken by GIIS to nurture the overall growth of a child in order to make them competent on a global level. More than 50 students from India campuses bagged laurels in various categories this year, making GIIS India all the more proud of their young representatives. Teams like GIIS Ahmedabad and Indore teamed up together for one of the categories named OPUS, and emerged as winners in the same. They prepared and practiced for the competition through video conferencing which showcases the amount of dedication and seriousness each GIIS India participant exercised to sweep accolades at the most awaited global competition of GIIS. There were different competitions that were held at the convention like Transformation Turncoat - a debate with a twist, Art Competition, Adzapp - a video editing competition, Essay Writing and Innovative Social Entrepreneurship Challenge and the turnaround of the students were humongous compared to the previous year. Global Indian International School (GIIS) - established under the guiding principles of Global Schools Foundation - is an international network of award-winning schools, with 23 campuses in seven countries. Known for their skill-based and learner-centric curricula, GIIS offers holistic learning and personality development opportunities for students. GIIS schools have been honored with more than 80 international and national awards over a span of 8 years for achieving excellence in school education. Today, GIIS boasts a strong multicultural student body, as children from diverse nationalities have enrolled across its campuses. Adopting a holistic approach to learning and character development, the school’s Nine GemsTM model is a proprietary tool to achieve a balance between academics and experience, mental and physical development, fine arts and performing arts, language skills and creativity, personality development, ethics and entrepreneurship. You have made an unprecedented appearing. I will probably tunnel it and by and large propose to my colleagues. I am certain they will be benefitted from this site. Such useful information! Thank you! My colleague advised using https://www.typicalstudent.org/ for the same type of content.